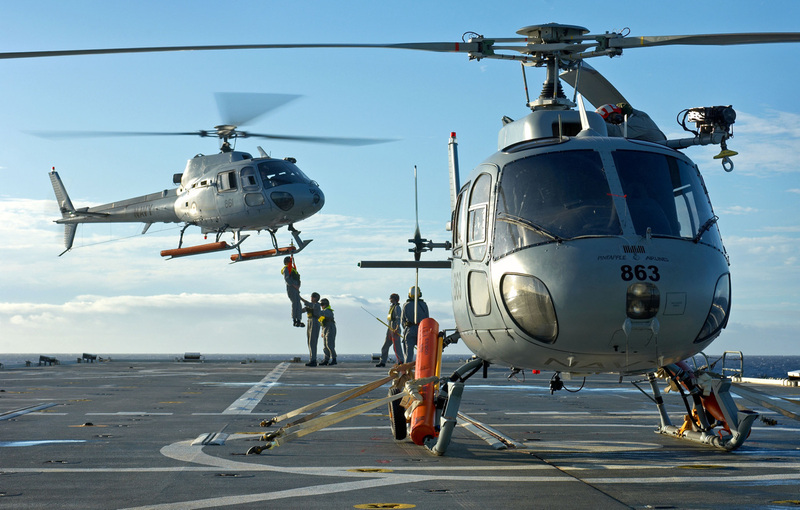 The AS350BA Squirrel served the Royal Australian Navy for 33 years, initially as an embarked platform for the Adelaide class frigates and as an aircrew training platform replacing the UH1B Iroquois. It was a true tri-service aircraft having been ordered for Australian Defence Force (ADF) service as a Royal Australian Air Force (RAAF) search and rescue aircraft and as the basic rotary trainer for the Navy and Australian Army at the then Joint Helicopter School at RAAF Fairbairn. The Squirrels served with all helicopter-capable RAN ships during the 1991 Gulf War. The aircraft, fitted with updated avionics and a door mounted machine gun were used for shipping surveillance, top cover for merchant ship boardings, mine searches, personnel movement and logistics support. During Exercise RIMPAC 2006, a Squirrel sits ready for flight as personnel are winched into HMAS Manoora's second Squirrel. The Squirrels were upgraded to AS350BA models in 1995 providing capability and performance improvements. Replaced by the more capable S-70B-2 Seahawk aboard the frigates in 1997, the Squirrel ceased dedicated embarked operations and was used in the role of lead-in helicopter training. The training role includes the conversion of all Navy pilots to rotary wing flying, preparation of pilots for operational flying and flying observers and aircrewmen for their basic utility training. The aircraft also provides training support for ship's flight deck teams. The flooded Riverina region in NSW, as seen from a Navy AS350B Squirrel helicopter in March 2012. 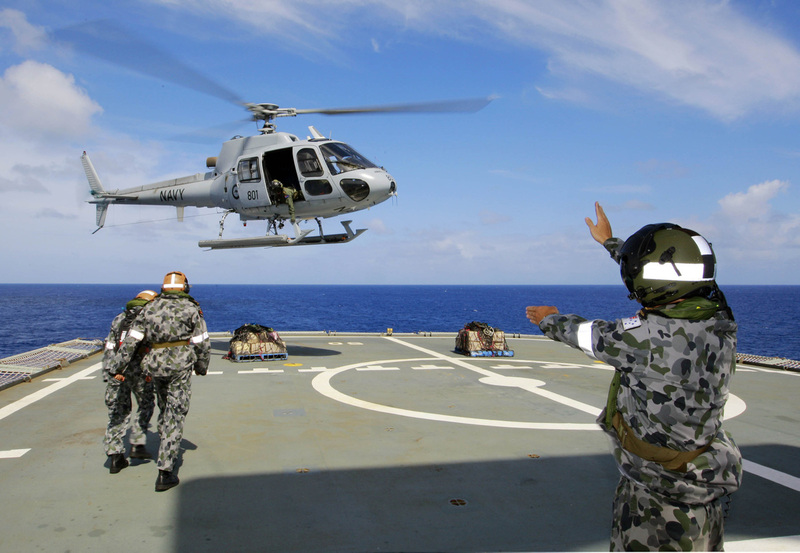 However, during September 1999, an AS350BA was again embarked at sea, this time in HMAS Anzac as part of the Navy's contingent for the East Timor crisis. At HMAS Albatross, all pilots, observers and aircrew undertake conversion training to rotary wing aircraft with 723 Squadron in preparation for further training in operational helicopters. The squadron also operates a helicopter aerobatic pairs display team which participates at major airshows and local public events. 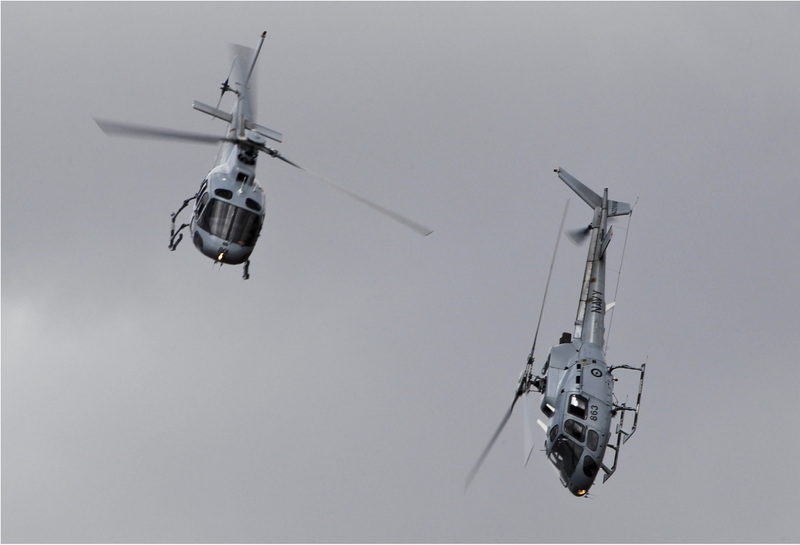 The Royal Australian Navy's 723 Squadron helicopter display team of AS350BA Squirrel helicopters perform their signature Pairs Aerobatic Display. 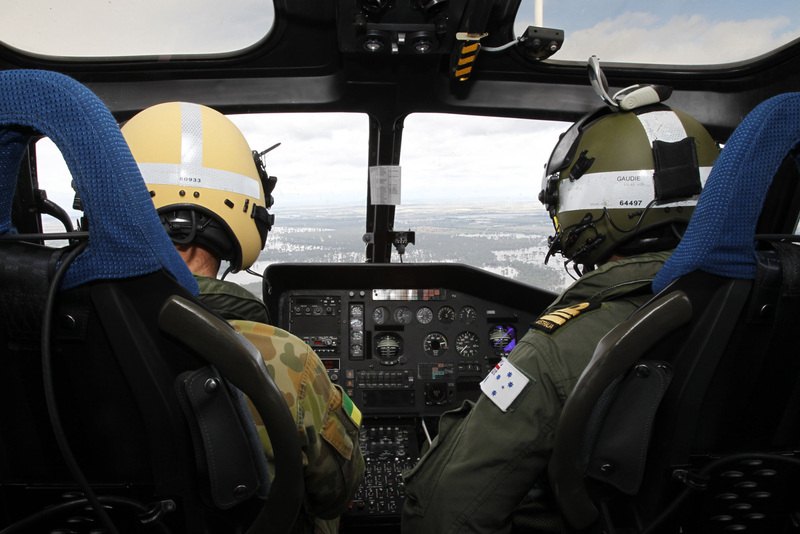 The AS350BA flew in excess of 179,500 hours across the full spectrum of ADF operations from training and peacetime defence aid to the civil community (DACC) support to being deployed on military operations. The AS350BA Squirrel was retired from service on 1 December 2017. HMAS Tobruk's flight deck team is sent to attach a cargo net to Tobruk's AS350BA Squirrel helicopter (Taipan 01) while they conducted vertical replenishments from the ship to a designated drop off area ashore during Operation SAMOA ASSIST.